Govan’s brigade continues northward on its way back to the Confederate lines. Barnes, Van Derveer, and Willich do not pursue and move back to Kelly Field to reform their commands. 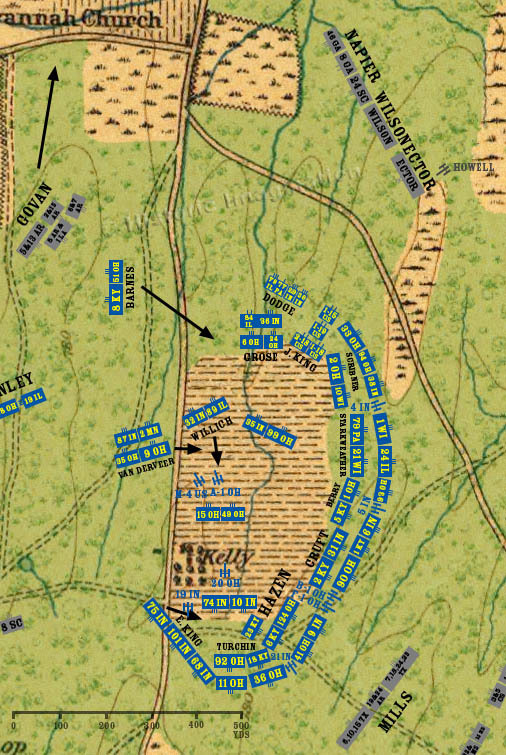 The skirmishers from the 75th Indiana return, and the regiment withdraws from the west side of the Lafayette Road, taking up a new position behind the 101st Indiana.